I am back in Kenya after our amazing trip in Svalbard with Focus Expeditions. We are already looking forward to returning to Svalbard next May and September. It is a magical place. When I arrived in Kenya, I met our Kenya group at the hotel. 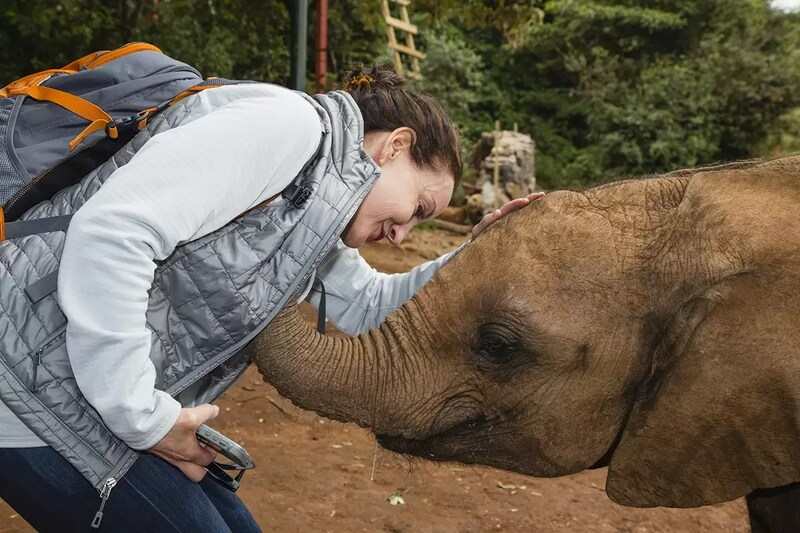 We spent a fantastic day in Nairobi visiting the Sheldrick Wildlife Trust where they rehabilitate sweet elephant orphans who have lost their mothers from the evils of poaching. Focus Expeditions adopts an elephant calf for each person in our group – we then get to spend one hour with our little adopted calves. The Center closes down to the public for our group. It is a special time. We then drove to Samburu where we spent three amazing days seeing several species unique to the area like reticulated giraffes, gerenuk and Somali ostriches. During our time there we met a troop of olive baboons who were greedily feasting on the fresh blooms of morning glory blossoms. It was really special and I have not seen this before. They stuffed their cheeks full of the blooms pulling the blossoms off the plant as fast as they could. After they stuffed their cheeks full – when all the blossoms were gone – they went off and enjoyed their bounty slowly. They eat one bloom at a time from the cache stored in their cheek. It was hilarious. They are greedy little buggers!!!! 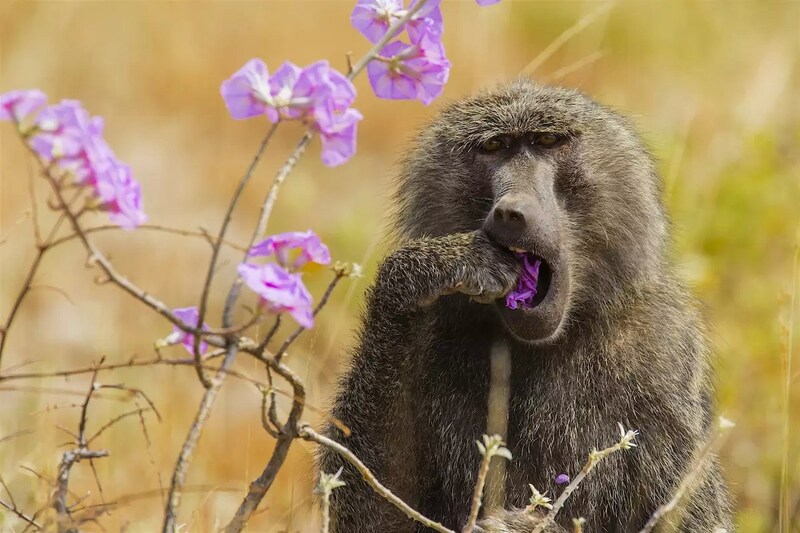 This is just one baboon who was feasting….we photographed these guys for over half hour! So much fun!